The New York Giants are coming off a tight loss to the Jacksonville Jaguars​ on Sunday afternoon and are heading down to Dallas to face their rivals. Although both teams lost Week 1, that didn't stop the trash talk from starting up. The Giants aren't afraid of the Cowboys. The Giants are fresh and all of the injuries that plagued them last year are in the past. Odell Beckham Jr. is back in true form and after Saquon Barkley broke away for a 68-yard touchdown, the Giants feel like they can compete with anyone. 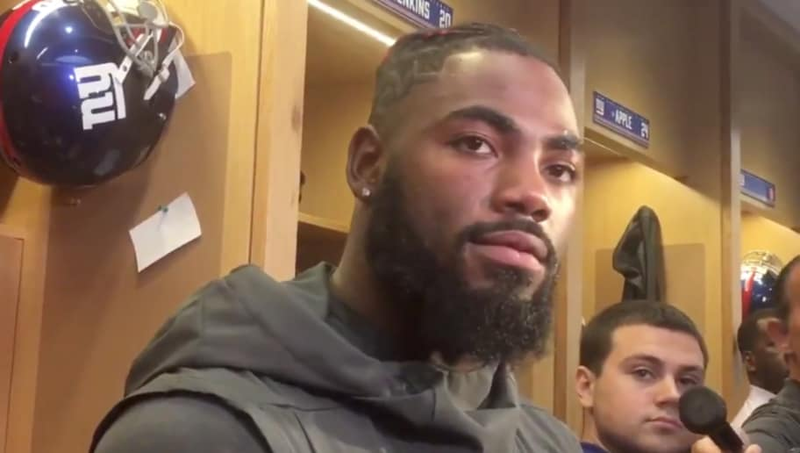 Landon Collins made that much clear. Collins saying the Cowboys have a better shot of winning if the ball is in Dak Prescott's hands is pure gold. My goodness, the shade. Maybe Landon has been checking the stat sheets because after a stellar rookie year, Dak hasn't lived up to the expectations. Dak has thrown for less than 200 yards in 7 of his last 9 games. Seems like if the Giants don't let the Cowboys feed Ezekiel Elliott, they may be the ones feasting at the end of the night come Sunday.